Gool Lodge Opposite R.C High School of Commerce, Delhi Chakla, Ahmedabad. 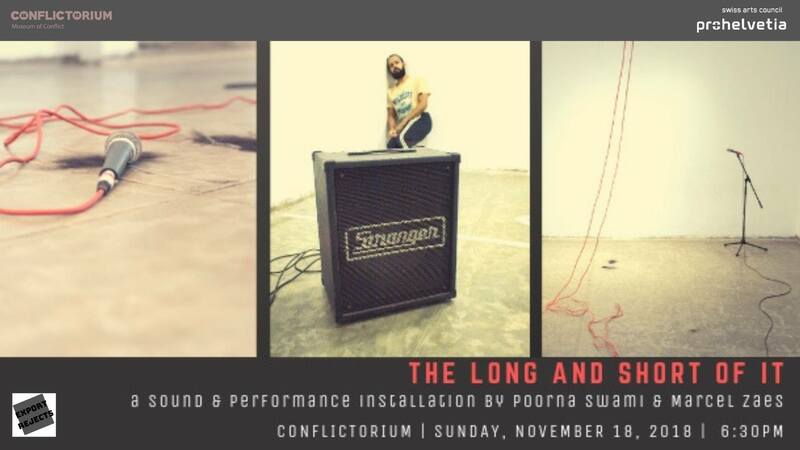 The Long and Short of It is a durational sound and performance installation. In a sparse landscape of microphones and amplifiers, bodies find, occupy, and are displaced from land. Each body must act within a set of rules, while also confronting residues of previously occupied lands. In this unrelenting cycle, bodies wither as they try to keep time. Audiences are invited to enter, move around, exit, and re-enter whenever they like. An outcome of Marcel Zaes’ Studio Residency supported by Pro Helvetia – Swiss Arts Council.